Compendiums & Notebooks, Compendiums & Notepads, Cutter & Buck Range, Premiums. 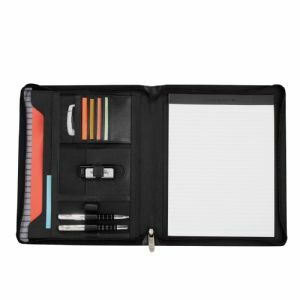 Includes 216mm(w) x 279mm(h) lined writing pad which inserts from the top. Includes Cutter & Buck metal badge on front. The internal lining is grey blue and white stripe. 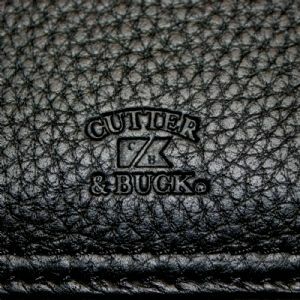 The zipper also has the Cutter and Buck logo. Pen not included. 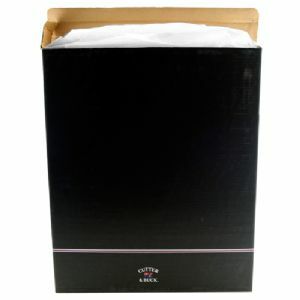 Packaged in a 1 piece Cutter & Buck black gift box. Fits an iPad in the front pocket / left side pocket.